Last week I finished an unintentional pairing of books —if a series of three works is a trilogy, what's two? 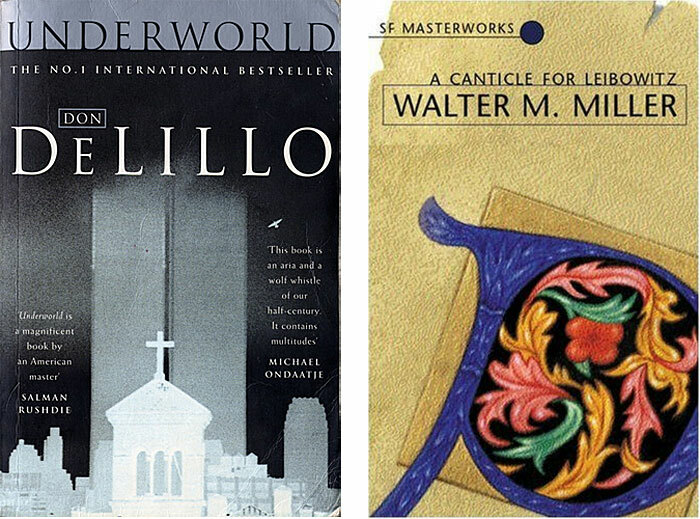 — Don DeLillo's Underworld (1997) and Walter M Miller's A Canticle For Leibowitz (1960). Although Miller's book was published nearly forty years earlier, it serves as a sequel of sorts to DeLillo's work. The atomic bomb, whose long shadow constantly looms over the Cold War US of Underworld, has fulfilled all its apocalyptic potential, and the clean desert landscape of Nick Shay's New Mexico home has long been rendered barren and virtually lifeless by the nuclear holocaust of the late twentieth century. 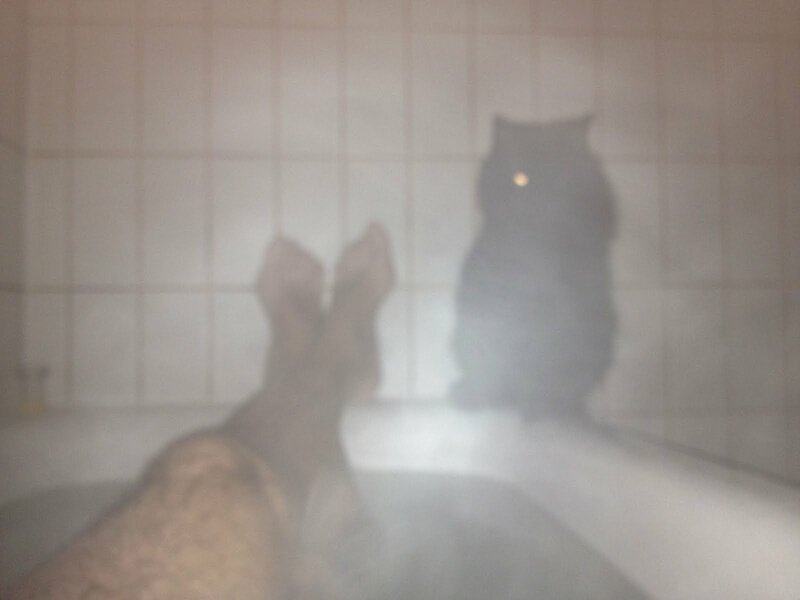 I wonder if this was a conscious act of DeLillo's? Was his writing desk haunted by the future ghosts of desert monks, trying to decipher centuries-old scrawled shopping lists as a way of preserving the deadly knowledge of humanity? I love this — crappy action figures used as signage to sell weight gain supplements to the bodybuilders of Camden.